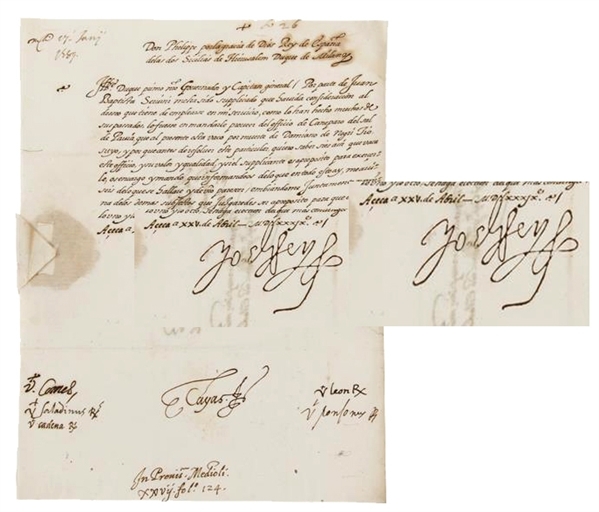 Philip II, King of Spain (1556-1598) signed letter. 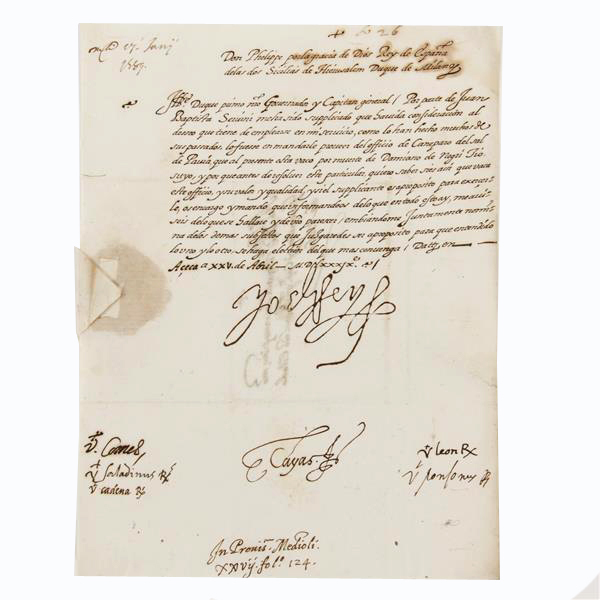 Queen Elizabeth I's Arch-Enemy, he sent the ill-fated Spanish Armada against England and also reinstated the dreaded Spanish Inquisition. Magnificent Manuscript Letter dated April 25, 1589 with huge signature "Yo el Rey" (I, the King). 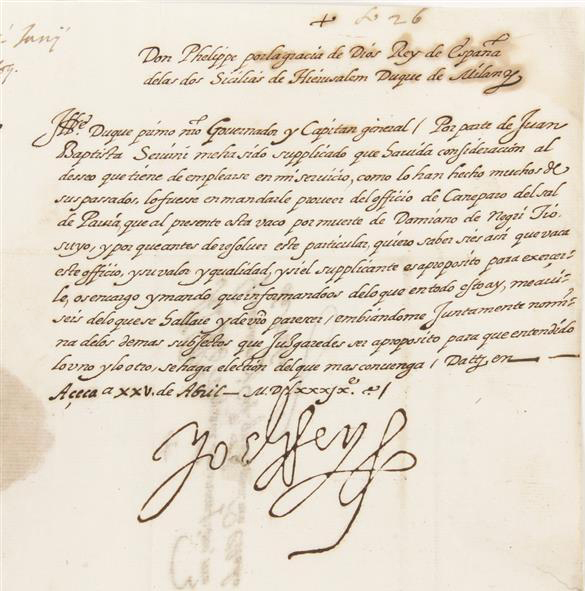 Letter is addressed to Duke Terranova, the Governor of Milan: "...I was implored by Juan Baptista Seruini to consider is wish to be employed in my services... where there is a vacant place due to the death of his Uncle Damiano de Negri. Please check if that position is available and let me know if this man has the qualities for this job and if you have other positions available for him..." Amazing condition for being over 400 years old.